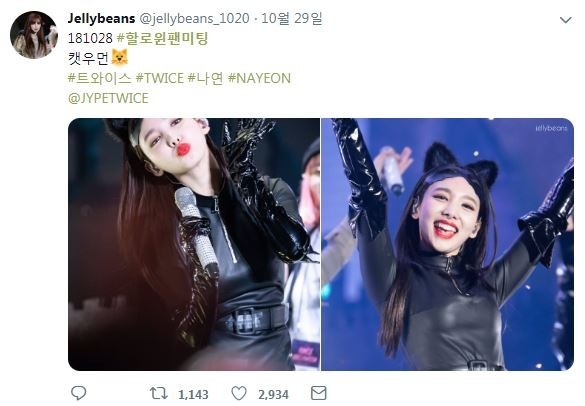 Twice’s Halloween fan event at Yonsei University’s outdoor concert arena on Sunday was a success, to say the least. 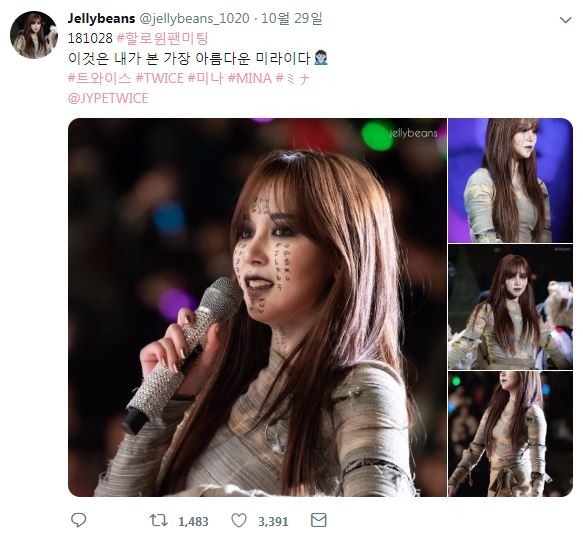 Photos of the event have been popping up on Twitter, showing Twice singing and dancing in Halloween costumes. 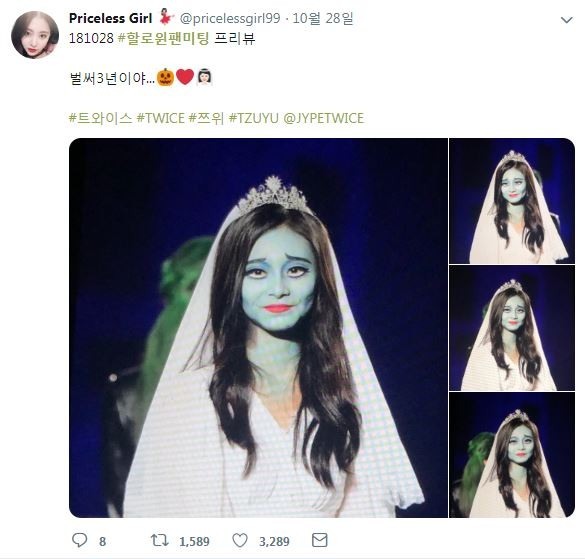 Twitter users @jellybeans and @pricelessgirl99 uploaded professional-seeming shots of Tzuyu, Nayeon and Mina dressed up as Corpse Bride, Catwoman and a ghost, respectively. The al fresco concert space at Yonsei University in Sinchon, Seoul, has capacity of 7,250 seats. Momo also updated Twice's official Instagram, Tuesday, with photos of herself dressed up as Cruella De Vil of Disney's "101 Dalmatians."